Beijing, formerly Peking, is the capital of the People's Republic of China and one of its most famous historical and cultural cities. It is the national center for politics, culture and international communication. 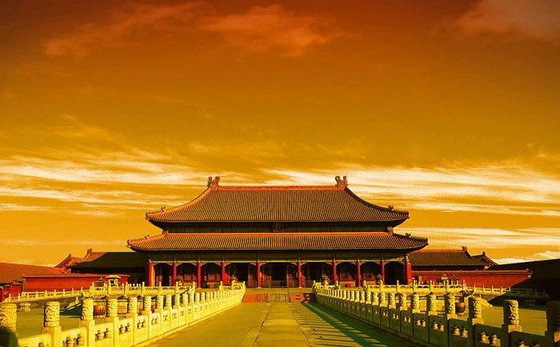 Beijing, together with Xi’an, Luoyang, Kaifeng, Nanjing and Hangzhou are the six ancient capitals of China. Beijing Municipality, located in northern China, is completely surrounded by Hebei Province with the exception of neighboring Tianjin Municipality to the southeast. The metropolis is governed as a direct-controlled municipality under the national government, with 14 urban and suburban districts and two rural counties. Its population in 2015 was 21,689,000. Beijing is hot and rainy in summer, cold and dry in winter while spring and autumn are short. The annual average temperature is 10 ~ 12 degrees centigrade. The city's history dates back 70,0000 years to when primitive tribes lived in Beijing Zhoukoudian area. Beijing has been the center of the northern part of China, since Qinshihuang (the first emperor of China) unified China in 221BC. Besides being the great ancient capital for five dynasties, Beijing has been the political center of the country for the past eight centuries. On October 10th, 1949, Beijing officially became the capital of the People's Republic of China. Beijing is the nation's largest scientific and technological research base. Chinese Academy of Sciences and Zhongguancun Science and Technology Park, which is known as the Silicon Valley of China and other important scientific research institutes are all located in Beijing. Peking University, Tsinghua University, Renmin University of China, Beijing Normal University, Beijing Institute of Technology, etc. all the top universities make Beijing the most developed education regions in China. Beijing has 24 libraries, including the largest library in Asia and more than one hundred museums. Communication in economics, trade, science and technology, education, culture and other fields between Beijing and the world are increasingly strengthened. Friendly exchanges between governments, civil and social groups are increasing. Beijing has established friendly relations with 124 capitals and big cities of 72 countries. Of these 50 are the Twin Cities of Beijing. 154 foreign countries’ have embassies in Beijing. According to 2015 data, there are 235,597 foreign students study in Beijing. Beijing also hosted the 2008 Summer Olympics and was chosen to host the 2022 Winter Olympics, which will make it the first and only city to ever host both events. Beijing is rich in tourism resources. More than 200 tourist attractions are open up to the public. The city is renowned for its opulent palaces, temples, parks and gardens, tombs, great walls and Hutong. The city has a total of 7309 cultural relics, including 42 national heritage conservation units, and 222 municipal cultural relics. In addition, Beijing's jade carving, cloisonne, carpets and other traditional handicrafts are also famous in the world.